You might have seen my review last month for The Accident Season and seen how much I enjoyed this story because of the strong characters, inventive plot and magical realism. 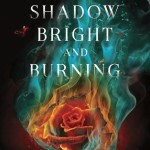 I was completely entranced from the first chapter and I’m honored to have the author, Moïra Fowley-Doyle, here today to answer some of my questions. 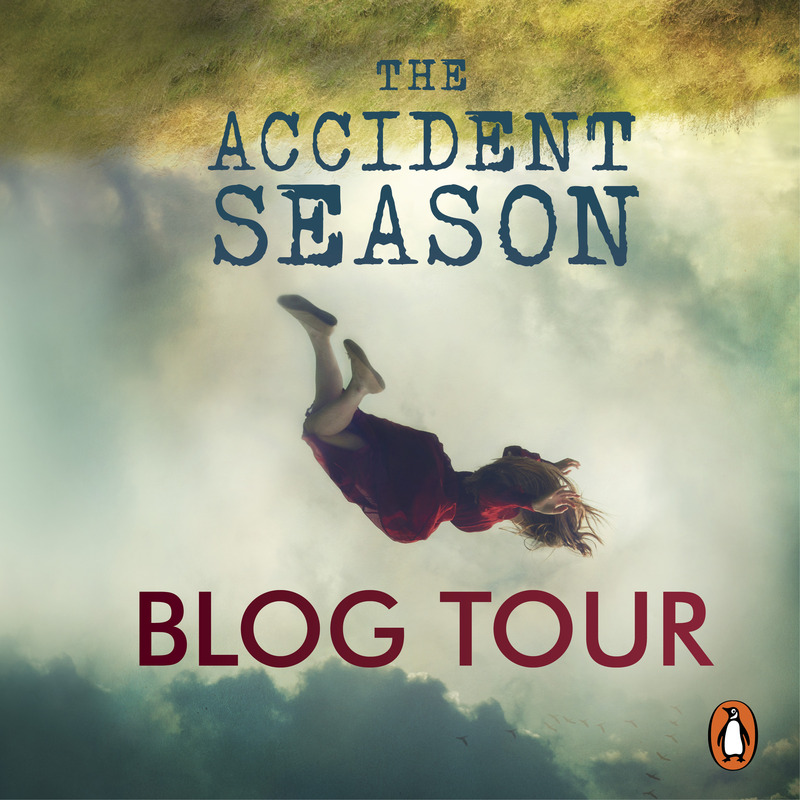 One of my favorite aspects of The Accident Season was the eerie atmosphere and haunting scenes you created (especially with the things that happen at the tree by the river). How did you come up with these creepy ideas? Did you pull from any folklore, dreams, etc? A lot of the clearing-by-the-river details were poached from a short novel I wrote when I was sixteen, which had a character that ended up being a sort of precursor to Elsie. That story was actually a good bit darker than The Accident Season, so clearly I’ve always been a fan of eerie scenes. Also it’s funny you should mention dreams because the frozen river scene is something that almost happened to me, or that happened in a dream, or a daydream, or not at all (dreams and reality tend to intermingle a lot for me). It was the middle of a heatwave some years ago and I walking down to a lake by my grandparents’ house that I’d walked on when it was frozen over the previous winter. Something about the heat haze and the afternoon light made me think it was frozen that day too. It made me wonder a lot about time overlapping and ask myself what memories could get trapped under ice. Which is why something like that made its way into the book – and of course the water is so important for Cara and her family, and I loved the idea that the river itself could become something far more unexpected than just a river. For me, I never exactly knew what was real and what was not which made my reading experience that much more incredible. Do you intend for the reader to be left in the dark for portions and to rely on their own conclusions about some of the events? That was one of the most important things for me: letting the reader do most of the work. Whether it’s magic or madness, curse or coincidence depends entirely on the person reading the book, and I love so much hearing from people who are convinced I wrote it to be clear one way or the other. It means I’ve done what I set out to do, so thank you! Your characters suffer from physical ailments during their ‘accident season’ a month once a year where the members of the family are more vulnerable to physical harm. This was something I’ve never read before and I loved it! Did anything in particular spur the idea? 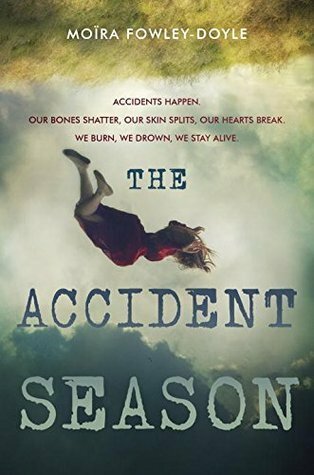 I’m a pretty accident-prone person (I’ve broken five bones since I was seventeen – to say nothing of sprains and bumps and bruises) so that must have influenced the idea, although to be perfectly honest the concept of the accident season kind of just came out when I sat down to write. Was there a certain character you found easiest to write or relate to? I found Bea easiest to write because she’s the least secretive of the characters, and so reveals herself quite easily. For all her eccentricities she’s a fairly straight-forward kind of person. I think Alice was the trickiest because I wanted to be very subtle and stay true to her character while still filtering her entire personality through Cara’s arguably biased point of view. I suppose I find Cara easiest to relate to, but that’s not completely fair to the other characters, because after all I did give Cara the narrative voice. I desperately want to read more from you can you give us any hints to what are you working on now? Oh, thank you! I’m working on my second novel now, which is another stand-alone set in the west of Ireland. It’s about lost things in the same way that this one is about accidents – which is to say that they feature but ultimately aren’t entirely what it’s all about. Thank you so much Moïra! I’m clearly quite excited about this one after I read your review Kristen and this interview has made me want to read the book even more, BUT her second novel set in Ireland?? GIMME!! I hope you love it Pili! I think you will. I’m crazy excited about her next book. I think I’ll read it at the end of October, it sounds like a perfect time to read it. This review really excites me, because she wrote it in a way that the reader wonders whether it is coincidence or magic, I love that kind of things, just like in the first Mara Dyer books. 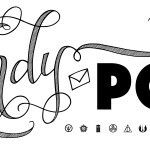 I really like your Blog Tour articles, they always make mme more excited for upcoming releases! Thank you so much!! This would be great October read for sure. I hope you love it! I so enjoyed this book. Thank you for sharing this fun interview! 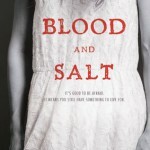 It was great hearing a bit more about the process and inspiration behind this fun novel.